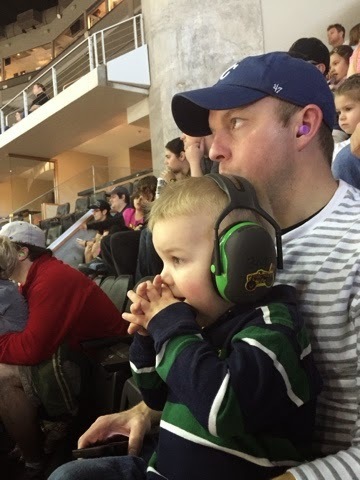 Last weekend, Craig took Brantley to the Monster Truck show with some co-workers and their kids. Fine by me, that's about the last outing I'd be interested in attending and it gave me some one-on-one time with Holden! 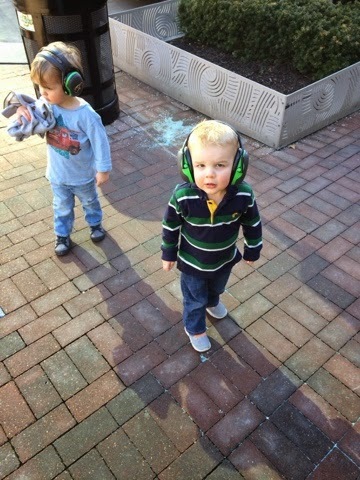 He bought Brantley some headphones and prepped him for the loud trucks the few days leading up to the show. They even watched YouTube video after video in preparation for the show. And then I think Craig got nervous when Brantley mentioned that the big trucks were "scary". But low and behold, he loved the show! He came home and told me about Grave Digger and Scooby Doo and the other big trucks that went "high in the sky"! Sounds awesome, huh? 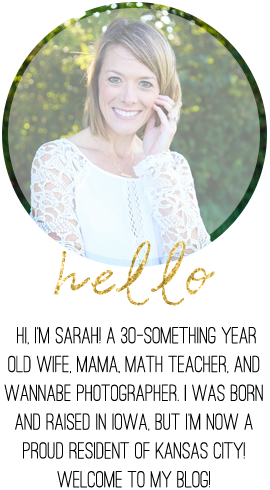 Being the good husbandhe is, Craig snapped a few photos for me and the ole blog. 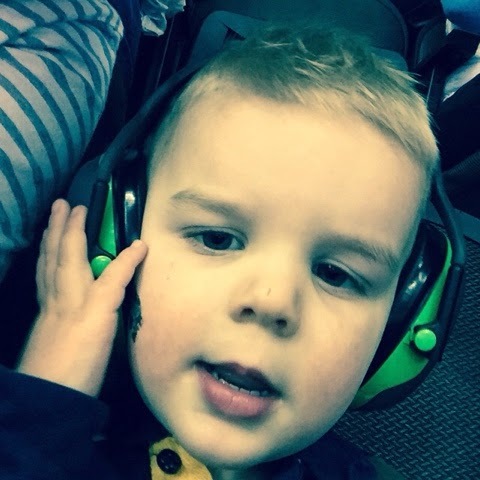 How cute is this kid in his headphones and coordinating shirt? Totally unplanned, by the way!